Create a space that is at once romantic, serene, and exotic. 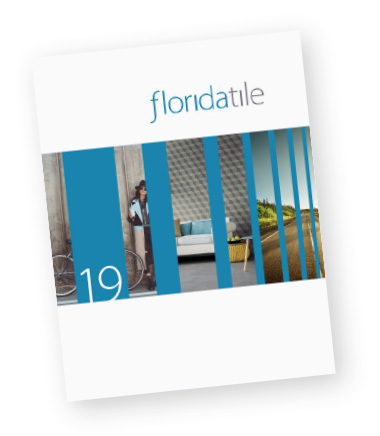 Venture into a world of artistry and elegance with EnchantHDP from Florida Tile. Step back in time - or blaze a path forward with this exquisite representation of regal marbles that blur the secrets of history with the essence of contemporary design. Give into your fantasies and surround yourself with luxury and aspiration that speak confidently of a refined world. Create a space that is at once romantic, serene, and exotic. This exquisite line of glazed porcelain floor tile and wall tile brings four stunning marble looks, once only available to the elite few, to the modern market. Beauty captures the delicate and varied silver tones of linear cut Palissandro marble, a highly sought after and unique material that is mined from centuries-old quarries in the Eastern Alps. Charm conveys the splendor of Fior di Bosco marble. The varied warm taupe grays, touches of light beige, and striking cream-to-brown veining make this look a visual jewel. Grace exudes the noble refinement of Crema Marfil marble with a pale beige background and subtle touches of gold, cinnamon, and creamy white. Honesty is an enchanting dance of soft whites and nebulous grays in a beautiful interpretation of classic white Arabescato marble. Each color and finish of this line is available in 3.75x12, 8x24, 12x24, and 24x24 formats as well as 3” hexagon mosaics. A 36 piece mosaic comes in the matte finish only. Completing the line are bullnose, ingot listellos, chair rail, and chair rail stop trim pieces in each color. EnchantHDP glazed porcelain floor and wall tile is appropriate for all residential and commercial wall, countertop, and backsplash applications. Matte finish tiles are appropriate for all residential and most commercial floor applications. With the exception of wet areas, tiles featuring the polished finish are suitable for most residential floor applications. All matte finished tiles, mosaics, and trim pieces in this line are produced in the USA at our Green Squared® certified Advanced Manufacturing Center located in Lawrenceburg, KY. These contain up to 40% pre-consumer recycled content and are GREENGUARD® and Porcelain Tile certified. Polished 6 Mohs Matte 396 lbf. avg. Polished does not pass DCOF.